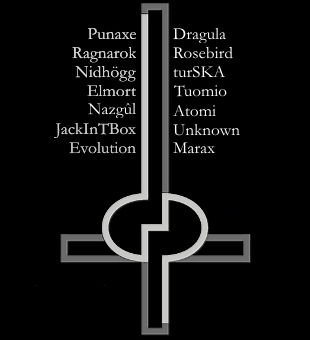 Clan [dp] was founded in early 2004 by Ragnarok and Punaxe, two DOOM addicts who forced their friends to join them in battle. Thus in the beginning, clan [dp] consisted only of people knowing each other in real life. Later on, others started to join [dp]: JackInTBox, Malvado, Evolution, ... and there are more people waiting in line every day. Because, well, duh? Click on their names to get to know them a little more than just by name. To see how they were do(om)ing on csDoom, click here to go to the fragstats of Kegety's csDoom server. At ZDaemon.org you can see how we do(om) on most ZDaemon-servers right here.